They're popular, cute and has a whole crowd of followers. 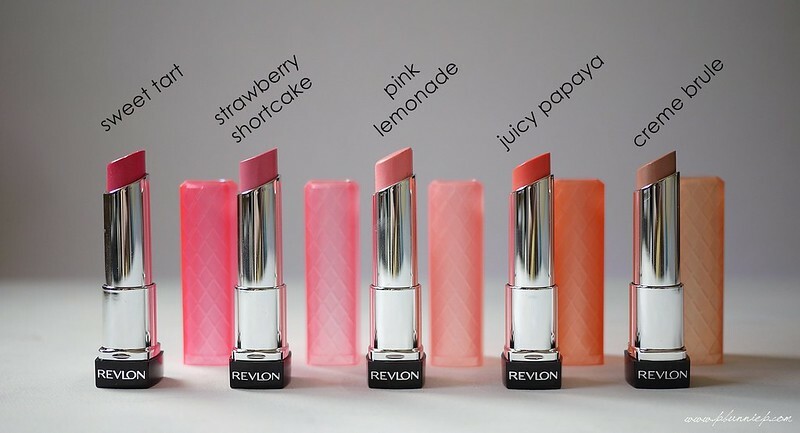 Revlon's Colourburst Lip Butter rocketed to celebrity status in the beauty world, the idea of "lip butter", a new and enticing word in our vocabulary had everyone eating it up. While I was curious about the appeal of mango, shea and cocao butter in the formulation, the sheer factor kept from trying these until I finally picked up my first one last summer. 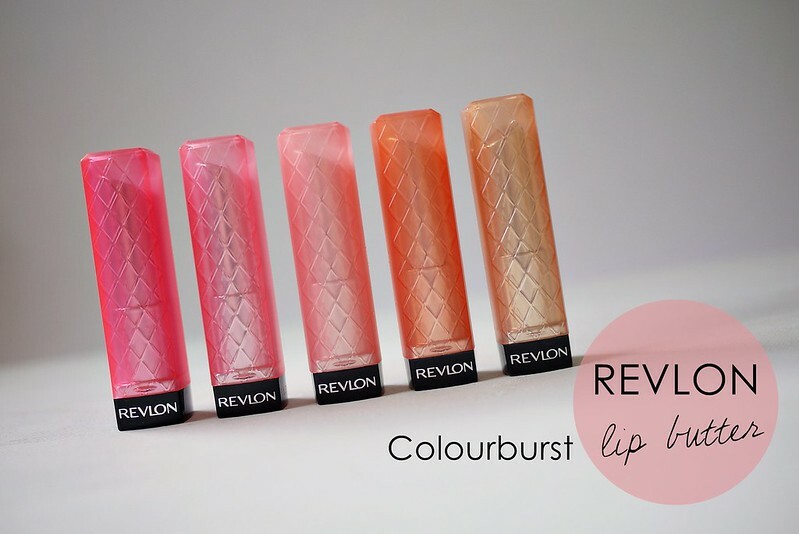 Packaged in sweet little candy coloured translucent caps, the quilted outter design is reminiscent of Revlon's Colourburst lipstick. 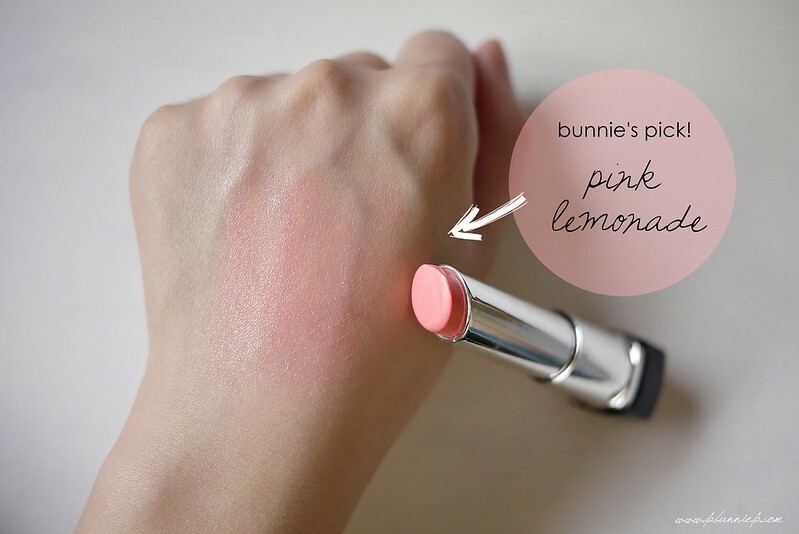 I do think this is one of the cuter lipstick designs in the drugstore and adds a bit of fun to my makeup routine even if just for looks. The colour of the cap corresponds with the shade inside the tube making for easy pickings when in a rush. 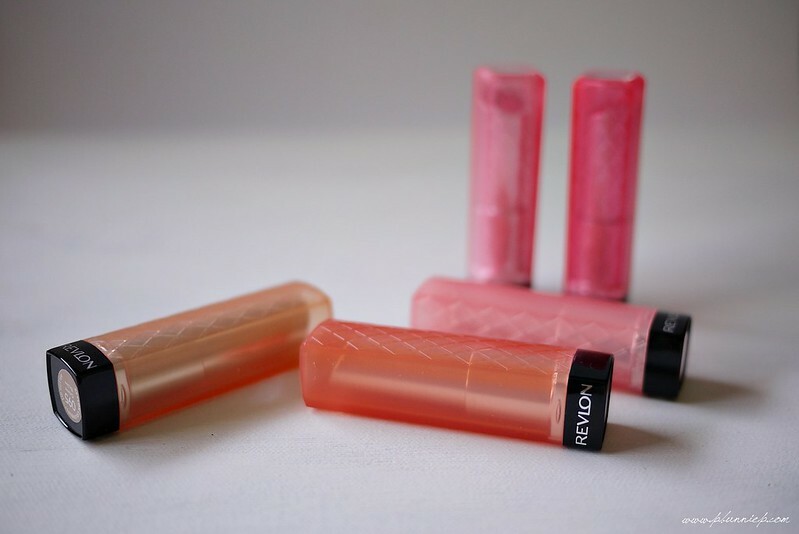 Weighing in at only 2.55grams of product, I was surprised to find such a small stick of lipstick when I first brought these home so take note that you may run out of your favourite colour rather quickly. 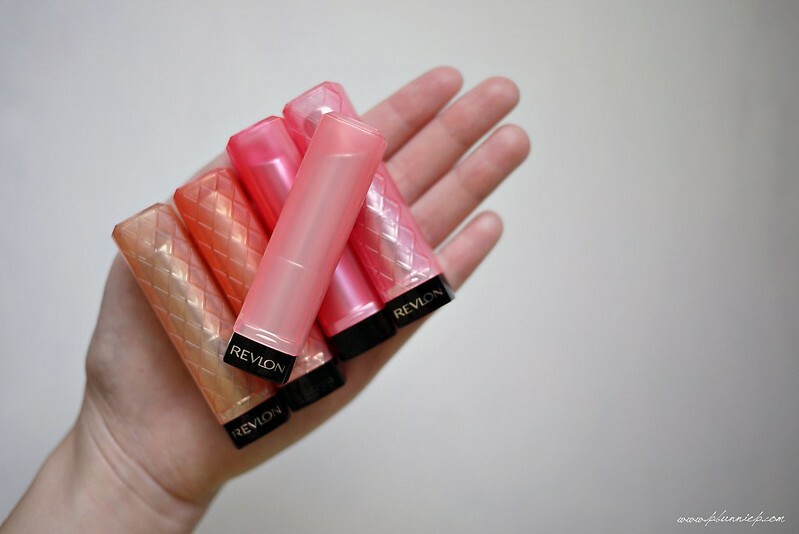 The selection for this range run an impressive 24 shades and though selection may vary from store to store, your local Revlon aisle should have a good 14-16 shades in stock on the shelves. The spectrum mostly consists of sweet sugary tones with a few pops of brighter colours here and there. Some are finishes while others have a hint of shimmer but they all leave a soft shine finish on the lips. These are mostly sheer to medium coverage at best colour depending. 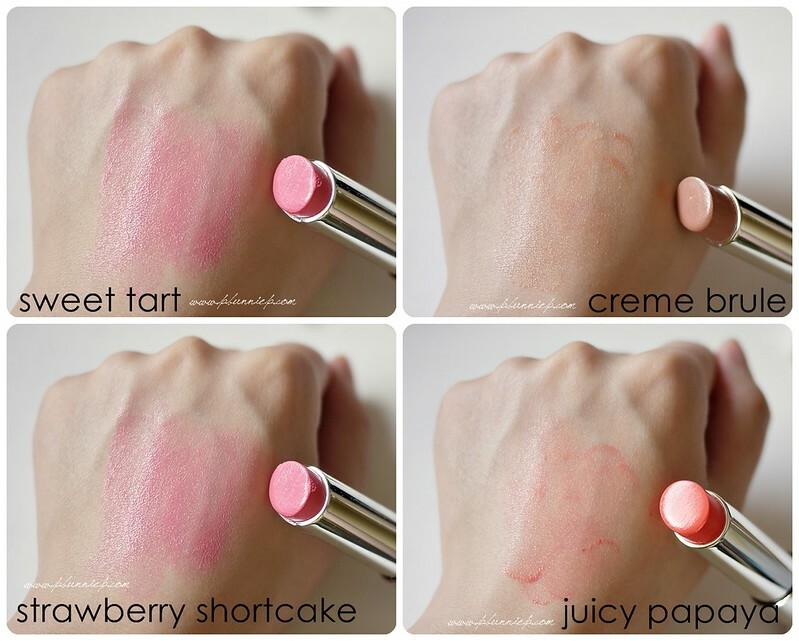 The texture and feel of these "lip butters" is more like a balm type lipstick, smoother and softer than traditional waxy formulations but not so that they melt on the lips. I do find that while these give the appearance of moisturized lips upon application, they do not provide any extra moisturization at all. In fact, have these lip butters on didn't prevent my lips from drying out throughout the day anyways so I've concluded that unfortunately the effect is just for looks. If you suffer from dry lips, a lip balm or more intensive moisturizing base is definitely needed. With all that being said, if you are a sheer to medium coverage lipstick lover and are looking for something with a moist looking finish these are nice to own. For myself, although I've collected quite a few over the past months I feel they fall short of my high expectations. However, all the shades I've encountered are very easy to wear and go on smoothly. As a bonus, no nauseating lipstick smell at all. Cute little pops of colour to throw into your bag for casual touch ups and quite nice for an easy summer look.